My PII is about the processes that we all go through at the end of our lives and how aging can impact both an individual and their community. By studying the biopsychosocial processes of aging and health, I've learned more about health disparities and communities around the globe. I've been incredibly lucky to develop a strong relationship with my Program II/Thesis/General Life advisor, Dr. Gold. Dr. Gold has been able to see my program grow and has taught me in four of my core courses. In addition, the staff of Duke Hospice has made it possible for me to engage with the topics that I study outside of the classroom, making for an all around richer experience. Thanks to Program II, I've been able to pursue answers to my intellectual questions both inside and outside of the classroom. 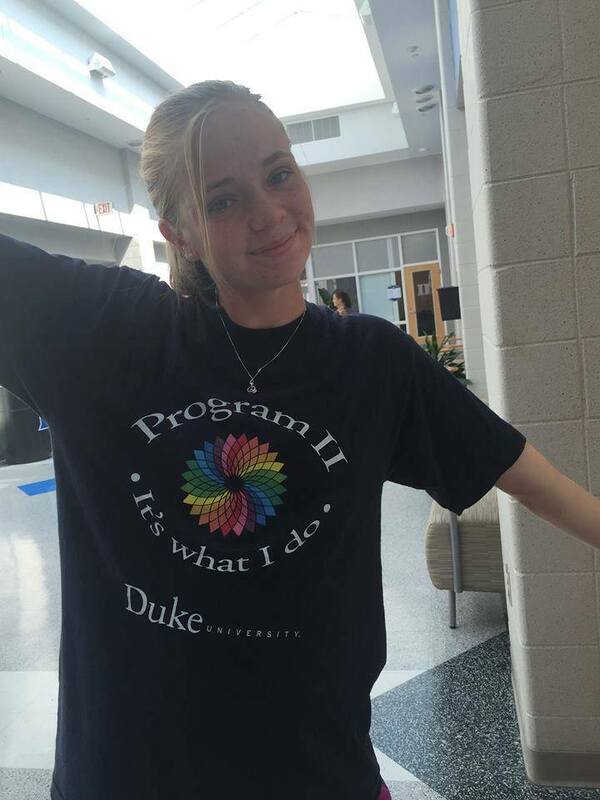 Rather than directly opening any doors, Program II has given me the freedom to explore the curriculum at Duke and the experiences that have supported those classes. Through focused study, I was made aware of more volunteering opportunities with Hospice and nearby nursing homes and formed questions that prompted me to take part in DukeEngage in DC this past summer. I decided to pursue Program II when I felt like there was no other major that would give me the chance to engage with the interdisciplinary questions that I felt college was the perfect time to ask. I started college as a neuroscience major but found that the courses, while incredibly interesting, did not touch on the human aspects of science that motivated my study. As I learned more about Program II, I found that it helped me to create a sense of ownership and direction to my study that I appreciate immensely looking back over my college experience. The greatest challenge for me in creating my program was narrowing my question. I still remember the look n my advisor's face when I told her that I wanted to create a Program II on what it means to be a human. With her guidance, I was able to formulate a topic that delved deep into those greater questions, while still being a manageable course of study. Program II has influenced my post-graduation plans mostly in the exposure that it's provided to new passions. The volunteering that I've done as a result of my Program II has supported my plan of working in a nursing home before going on to medical school. My hope is that in the work that I'll be doing, I'll be able to observe the things that I've only been reading about and have the assumptions that I've made in an academic setting challenged by real life experience.